It's one thing to talk about natural products and how they help the environment. It's another thing to see a company actually doing something. Xlear, Inc. is committed to providing consumers with the health benefits of xylitol, a naturally occurring sweetener, by manufacturing all-natural, health-enhancing products. Some of these include: Xlear® Nasal Spray, an award-winning, patented saline and xylitol solution; a complete line of dental health products under the Spry Dental Defense System® brand; XyloSweet®, raw xylitol crystals used as a sugar substitute in cooking, baking, and general consumption; and Spry Gems, a growing line of healthy, xylitol-based mints with leading pH values. 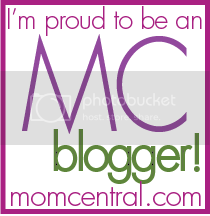 I received an Xlear oral care kit to try out through my association with #momsmeet. 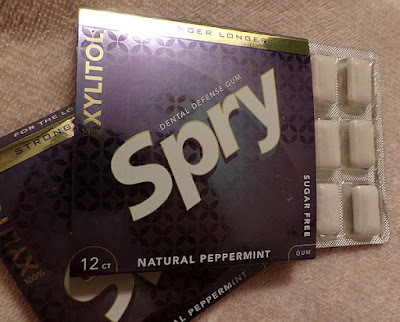 I'll be honest, I'd never heard of Xylitol until I tried the Spry Gems. Xylitol is a natural sweetener derived from natural sources. It is also produced in the human body as a by-product of a normal metabolism. Xlear xylitol is of the highest quality possible. 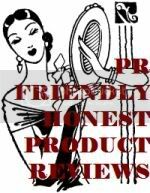 It is a pharmaceutical grade, meaning it must be more than 99.95% pure, and is made from non-GMO (non-genetically modified organism) corn fibers. It does not contain any of the corn grain, and it is tested to ensure that no corn allergens, mycotoxins, or corn proteins of any type are in the product. This fantastic natural ingredient has so many benefits for us. The addition of xylitol to saline nasal sprays, neti pots, and positive pressure bottles has been shown to make them more effective at helping to prevent ear infections in children, sinus infections in adults, and asthma and allergies in people of all ages. Xylitol helps the body's natural cleansing process to clear away allergens, asthmatic triggers, and other harmful bacteria. Xylitol is also one of the newest, easiest, and tastiest ways that people can improve oral health. Research done in widely different conditions confirms that xylitol use may reduce tooth decay. How does it do that? Because products sweetened with xylitol create an unwelcome environment for bacteria. Study after study continues to show that bacteria simply don't stick well to teeth in a xylitol-rich environment and that it may reduce the risk of decay in the tooth enamel. Xylitol is recommended by dentists, periodontists, pediatricians, and many health organizations and health professionals worldwide as a sweetener for anyone concerned with dental health. Wow. Who knew?? Well, YOU do now, and so do I. So if you're looking to add natural products to every area of your life, don't forget oral health. Don't forget Spry and Xlear! 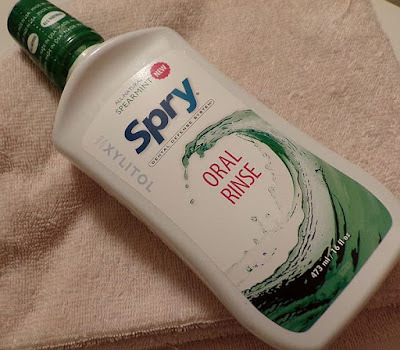 Spry Oral Rinse is one of my favorite Xlear products. It doesn't sting like many mouth rinses. Alcohol is a good germicide but it burns and can dry out mouth tissue. Spry Oral Rinse takes a more natural approach to oral health by using a xylitol-rich, low-alcohol, and pH-neutral formula. It also uses a mix of natural flavorings and herbal extracts such as aloe vera, chamomile, and echinacea to help soothe irritated mouth tissues. Spry Oral Rinse is available in Cool Mint, Spearmint, Wintergreen, and Cinnamon flavors, and retails for $6.99 each. Another favorite product is Spry toothpaste. I love the taste, not too sweet, just right. And my mouth feels so fresh and clean after brushing. 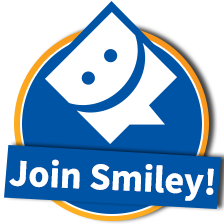 Spry Toothpaste consists of 1/3 xylitol, which provides 20-25% of the recommended dosage per day. Xylitol also increases mineral absorption into the enamel of the teeth, resulting in greater protection with a clean, fresh feeling that really lasts. Spry Toothpaste retails for $5.99 each. 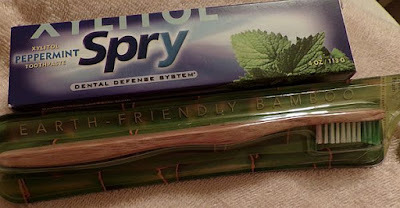 I really love love LOVE the bamboo toothbrush! Talk about sustainability! One of the most-used household items in any home is an individual's toothbrush. Dental experts report that toothbrushes should be replaced at least 4 times a year, if not more frequently. With over 320 million Americans, that's a lot of toothbrushes in the trash. Worldwide, people add billions of toothbrushes, and the environment-harming materials they are made of, to landfills across the globe. The Spry Dental Defense bamboo toothbrush was developed to address this problem. 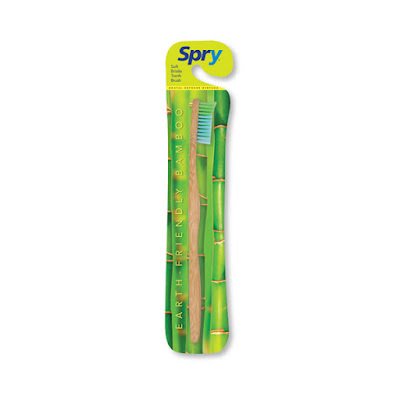 Organically grown bamboo makes an excellent toothbrush for a number of reasons. No pesticides or chemicals are used in its cultivation, making it an all-natural, sustainable, biodegradable, and eco-friendly alternative to the more-common materials that will take thousands of years to break down. Naturally anti-microbial, bamboo also helps protect the mouth from unfriendly bacteria and other microbes so you can brush with confidence. Retail price $3.89. If you're adding xylitol to your daily defense regimen, might as well add gum and mints too, right? Xlear Spry Gum has a flavor profile that exceeds regular chewing gum with the added benefit of xylitol. Spry Gum is available in four natural flavors: Spearmint, Wintergreen, Cinnamon, and Peppermint. 12-piece pack of Spry Gum retails for $2.29. Xlear Spry Gems are naturally sweetened with 100% xylitol. Spry Gems combine the benefits of xylitol with natural flavorings and calcium to create a pH-balanced formula for advanced oral health. Spry Gems are available in Berry, Cinnamon, Peppermint, Spearmint, and Lemon Cream varieties. 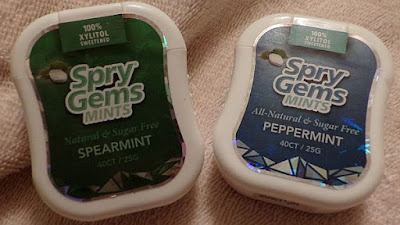 40-count Spry Gems retail for $2.19. 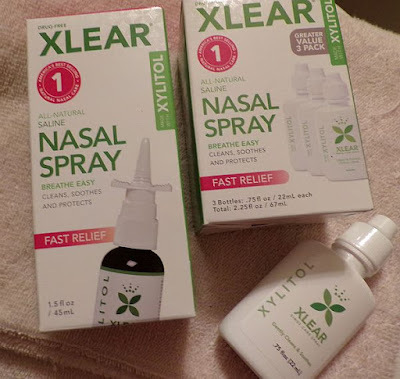 Xlear is a soothing nasal spray that helps to alleviate congestion due to allergies, cold, flu, and sinusitis. It does this by being much more hyper-osmotic than a traditional saline nasal spray, meaning it draws moisture in and keeps the nasal passages and sinuses more moist and clean than saline alone. It also incorporates xylitol, a natural product that has been shown to decrease bacterial adherence in the nose. This health-promoting combination is designed to aid in the relief of irritation caused by pollutants, allergens, and germs in the nasal passages. Not only does this solution enhance the body’s natural defenses, but it also increases the amount of water, which enables our immune system to be more effective. When used twice a day, Xlear nasal spray not only hydrates the sinuses and nasal passages but it also helps to wash away airborne contaminants and pollutants that lead to many common upper respiratory problems. Unlike many prescription or medicated sprays with unwanted side effects, daily usage of Xlear Nasal Spray is non-addictive and will not damage tissues. One 1.5 oz. container of Xlear Nasal Spray retails for $14.99 and will last 2-3 months with daily use. The Xlear Nasal Spray Economy Pack contains three .75 oz. squeeze bottles and retails for $18.99. 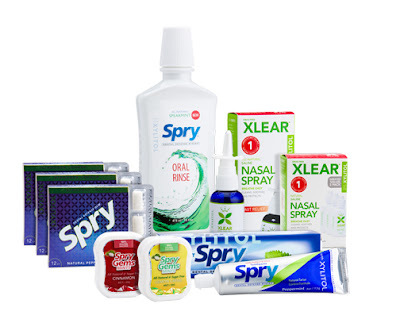 I'm completely sold on all the Xlear and Spry products! If you'd like to try some of these for yourself, for a limited time you can purchase the Xlear Care Kit at a greatly reduced price. The kit contains 1 1.5 fl. oz. Xlear Nasal Spray, 1 3-pack 1.75 fl. oz. 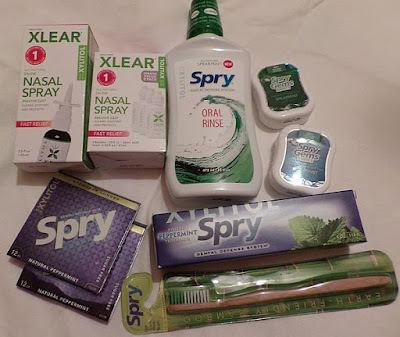 Xlear Nasal Spray, 1 tube Non-Fluoride Peppermint Toothpaste, 1 bottle Spearmint Oral Rinse, 1 40-ct Lemon Creme Gems Mints, 1 40-ct Cinnamon Gems Mints, 3 packs 12-ct Peppermint Stronger Longer Gum, and 3 packs 12-ct Spearmint Stronger Longer Gum. That's a $65 value, for only $25! (plus s&h) Use coupon code SAVE50 at checkout to get this amazing deal, but hurry, it's only good until June 30. Learn more about Xlear, Spry, and xylitol at Xlear.com. Visit them on Facebook and Twitter too.